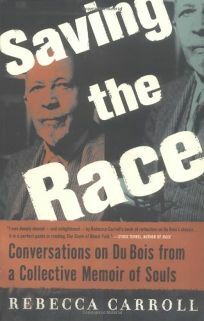 In his landmark book on race, The Souls of Black Folks, W.E.B. DuBois detailed the schizophrenic lifestyle black Americans had to live in order to find their place in post-slavery America. Carroll's latest work since the well-received Sugar In The Raw: Voices of Young Black Girls in America revisits DuBois's classic more than 100 years after its debut to examine the current relevance of its original content. Carroll interviewed 18 well-known black scholars, journalists, artists, politicians and activists for her project, asking them to reflect on selected DuBois passages and to offer new interpretations of them. The result is a handbook of personal reflections and cultural insights from the likes of Derrick Bell, Patricia Smith, Julian Bond and Elizabeth Alexander on the issues of black authenticity, inequality, fitting in, being the""different"" black person and on DuBois himself. Personal anecdotes at the beginning of each chapter give readers a front-row view of Carroll's own struggles as a biracial woman trying desperately to discover how to be black--with only white parents, a few black friends and a large dose of race consciousness as her guides. All together, the short-chapter format weaves together the personal history and the variant commentary nicely, but somehow the book remains disjointed and unfocused, perhaps because it never focuses on a central theme.